I help business owners discover new opportunities, scale their companies, and realize their goals. Execute marketing that delivers on your company's goals and provides a return on investment. Your brand is a promise to your market—transform it into a strategic asset that creates value and wealth. Create competitive advantage through new products, unique services, and fresh business models. Leverage executive-level expertise gained over decades of agency leadership and client work. Every solution starts with a conversation. Whatever your challenge—anemic sales, new product launch, changing markets—I'd like to help. 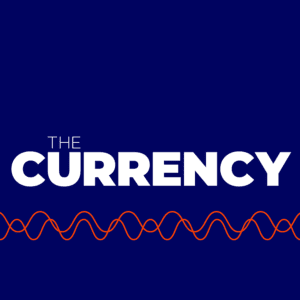 The Currency is a podcast for entrepreneurs about the transformational power of business. In each episode, Mike Gastin interviews an entrepreneur to hear their story, discover the insights they've gained, and learn about their greatest success and failures. Subscribe to The Currency on iTunes, Google Play, or Stitcher. To listen now just click the button below. Receive my latest insights on strategy, innovation, and branding, plus updates on my recent articles, videos, and podcast episodes—all delivered to your inbox. If you love branding and business strategy, this is the newsletter for you. My guarantee: no nonsense, no spam, 100% privacy.